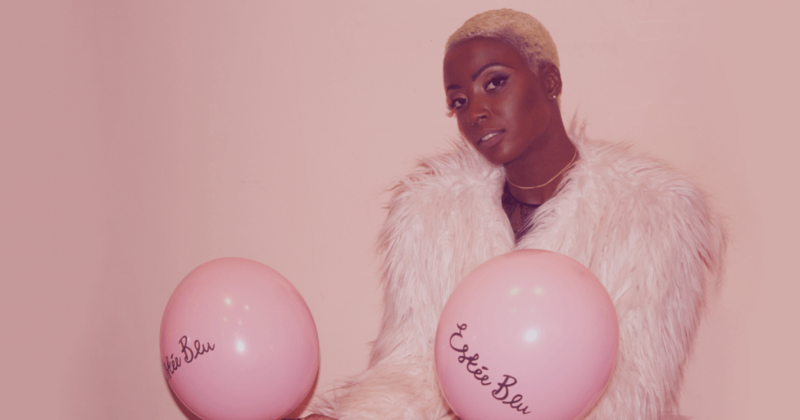 London-based Estée Blu is a self-funded developing artist determined to carve out her own unique musical identity. 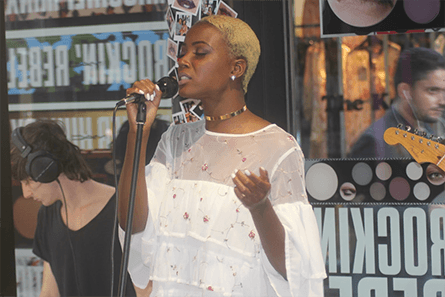 The rising star understands that there are no shortcuts in the creative process and has drawn on the support of the Roundhouse, the Mobo Awards and Help Musicians UK to help her develop artistically. She spoke to iSing about her creative and strategic career approach. How did you get started on your singing journey? I started singing in a church gospel choir at six and later my mum sent me off for music lessons. But it wasn’t until about two and half years ago that I began to take music seriously. I entered a competition called Westfield Presents and was named artist of the month. That resulted in me having a showcase at Westfield Stratford that was streamed live on KISS FM. It was my first proper showcase and I loved it. From there I did a few artist development camps and then a six-month artist development programme with Urban Development, where I learnt a lot more about myself. There was a module called Deconstructing The Artist where we pulled apart our identity and looked at why we make the music we make. I’d never explored that before and it was interesting to understand how my identity shapes my music and why I do what I do. My mum is a massive Whitney Houston fan and it was her music that I heard first. Growing up I also listened to a lot of gospel music. As I got older artists such as Jhené Aiko, Lianne La Havas, Jazmine Sullivan, Lauryn Hill and Solange Knowles influenced me. I think lyrics are one of the most important components of a song, and these women are incredible lyricists. As an artist my style is Neo-soul with R’n’B and jazz influences. However my music evolves, those three elements will always be at the centre of what I do. Do you have any other training or work experience? I’m a trained French teacher. I have a degree in French and Italian studies and can speak a bit of Brazilian Portuguese as well. I love languages, but I want to be a full-time singer. I may not leave teaching completely, but my focus is singing. Anything I do outside of that, whether it be teaching or facilitating workshops, has to work with my singing. How has your interest in languages influenced your music and writing? It’s made me more open and willing to try something new. I’m yet to write a song in another language but I’m interested in doing that and would also like to collaborate with musicians who don’t speak English. I enjoy listening to world music, particularly the Belgian artist Stromae has deep lyrical content and expresses it in a very artistic and elegant way. I also appreciate musicians from Senegal to Portugal to Brazil, Congo. The list is endless. Who do you turn to for industry advice? A bass guitarist and painter called Luke Hannam, who was a course leader on my artist development programme and has been my music mentor ever since. Whenever I have questions or doubts, I go to him. When I got scouted for a big national TV show he was the first person I called for advice. He said: “I don’t think it’s where you want to go, but the decision lies with you.” And I trusted his judgement. He taught me that there are no shortcuts in the creative process – and that it’s not linear. You’re always learning, drafting and redrafting and pulling more influences in. Sometimes you scrap the whole thing and start again. What’s the biggest career challenge you’ve faced? There have been two: finding a way to just focus on being a musician; and learning how to communicate effectively. The latter relates to being the only woman in a very male-dominated space. It’s about understanding what I like and don’t like, and what I will and won’t tolerate. When something doesn’t work for me I’ve had to learn how to say firmly, but in the most gracious way, what I want. What are your thoughts on the #metoo movement? Have you experienced unwanted behaviour? There are males in the industry who prey on females. I’m fortunate enough not to have experienced that, but I know people who have. Even if it’s not someone being predatory it may be a man treating you disrespectfully, being rude or treating you in a way that they would never treat another male. It’s a really important conversation that is hopefully giving women the confidence to speak out and men an insight into what we experience. We need to foster a community of support because oftentimes people are scared to speak out for the fear of having people turn their backs on them. We all need to listen. How are you funding your artistic development? Partly with savings from my teaching work and partly with a grant I received from the MOBO Awards and Help Musicians UK in December. I received £2,000 and that has helped me with vocal lessons and piano lessons. It was the first time the award had been offered and I was among the first ten recipients. I’m also a Resident Artist at the Roundhouse, where I get access to training and performing opportunities. What do you wish you’d known before you started your professional career? The financial cost of being a performer: hiring a recording studio and musicians, getting your track mixed and mastered, the hair, the makeup and the outfits. What advice would you give an artist who is starting out? Research funding opportunities and be prepared to spend your own money as well. Have savings or a set amount of money per month to go towards your musical journey. Singers need to invest in themselves. Musicians invest in all their gear, yet I’ve heard of singers who don’t even own a microphone. Follow music foundations and music bodies on social media to learn about opportunities to take your career forward. And read iSing, of course. 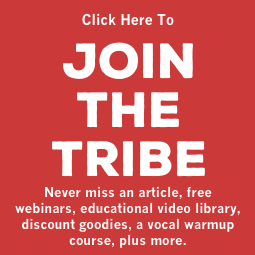 It has great resources, articles and webinars. What’s next for Estée Blu? More songs, projects and visuals. I’m excited to work on all that myself. I want to release something that I’m really proud of. For any upcoming gigs check out my website. iSing founder Line, is passionate about creating a place where singers can gain knowledge, skills, advice and support. Something she wishes she had when she first started. In her private practice she helps pro and semipro singers, artists and voice teachers with their voice, performance, mindset and teacher training. Her speciality areas include Performing Arts Medicine, anatomy, health, technique and mindset. She pulls on a wide range of qualifications, experiences and interests to assist her clients to build and develop the knowledge and skills they require for their craft. She is a member of PAVA, PAMA, the MU and Advisor to Vocology In Practice, and a BAST singing teacher trainer.